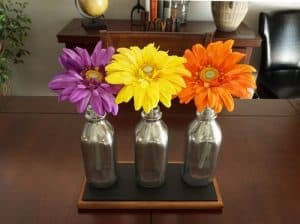 Magnetic Memo Board with Button Magnets - Girl, Just DIY! You know you can’t use spray paint when it’s too cold, right? If you didn’t know there is a sweet spot for temps when it comes to all paints. I know better, but I tried it anyway this week. Being the procrastinator I am I’d waited too long to start my project for this month’s Thrift Store Challenge. I managed to save the project and I turned a scratched up Dollar Spot chalkboard from the Goodwill into a bright Magnetic Memo Board with really cute button magnets. 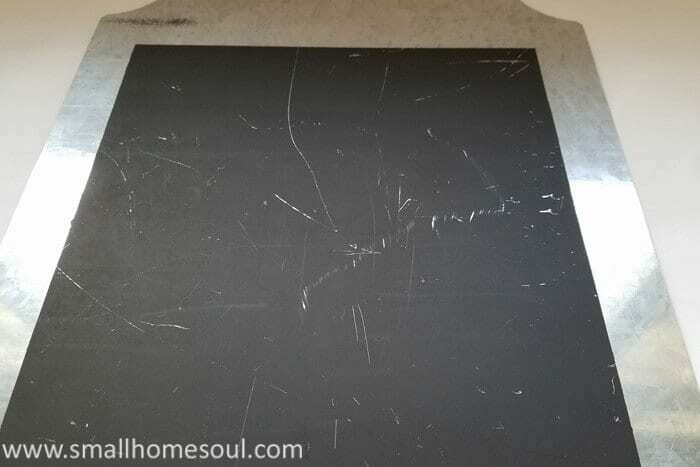 I was only able to save this project because I bought two of the chalkboards for $0.99 each 😀 Otherwise I’d be showing you a different project entirely LOL. 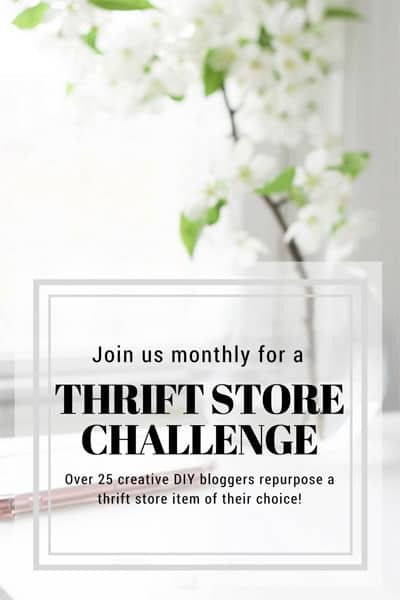 Make sure you check out all the Thrift Store projects this month linked at the bottom of this post. We all know the items at the Dollar Spot aren’t the highest quality, but even I was surprised at how thin the chalkboard coating was on these things to get so scratched up. When our local Target has stuff that won’t sell they send it to the Goodwill. It’s not always the best deal but since these were normally $3 I figured 99 cents was a bargain. I know how it feels to mess up a project; I’m telling you so you know you’re not alone. We’ve all been there. In my case I used cold spray paint that had been in the 50-something degree garage without warming it up. It all started nice and then the paint started to separate. Ugh, maybe I can scrape the too thick paint off and try again. So, read the instructions on your paint cans….. Anyway, I’m glad I had a spare. So on to Plan B similar to when I made my Egg Market Sign. I grabbed the other one and outlined the scratched up chalkboard area with painter’s tape. 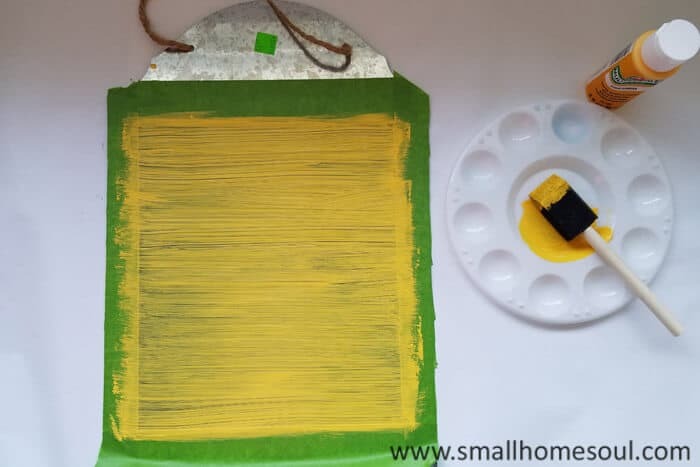 Then I grabbed some craft paint in the closest shade I had and got busy with the first of three layers of paint. Play around with the buttons and choose a cute combo. Carefully glue the buttons together with the glue gun. Cut and affix a piece of self-adhesive magnet to the back. That’s it, super easy and fun to make, like this one. After the paint is fully dry (mine took 3 coats) or after you’ve applied the final coat; carefully peel the painter’s tape. Pull the tape at a sharp angle away from the paint line, this keeps the paint from pulling. I had a couple spots along the edge that got goofed up but I can live with it. That’s it, super easy to turn this scratched chalkboard into a magnetic memo board in an afternoon. Sorry for my less than photos, the weather and lighting was not cooperating but I think you can see how cute they all turned out. 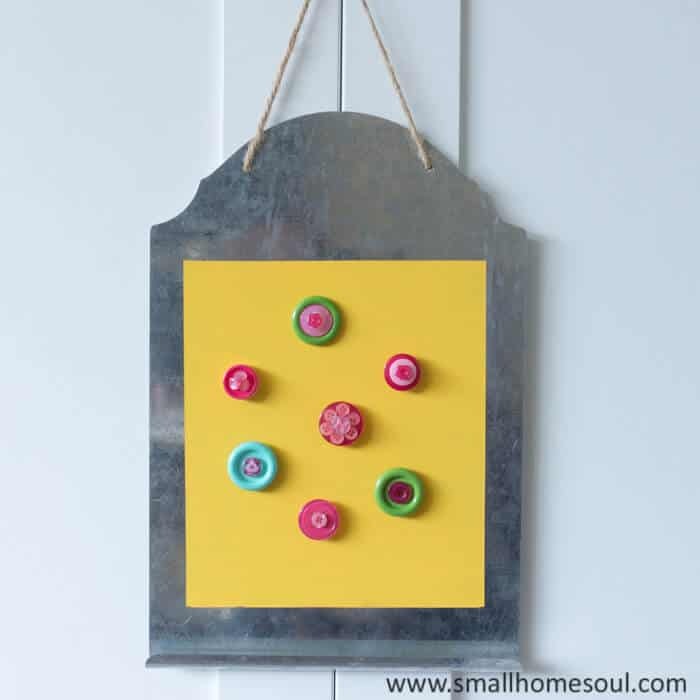 I hope you were inspired to create your own bright and fun magnetic memo board for your home or office. Now I hope you’ll be inspired further by more great projects below. 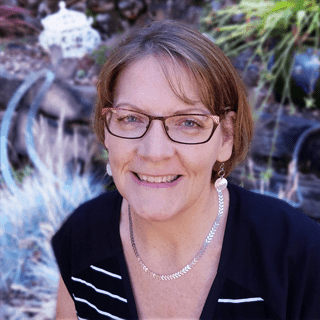 This is such a cool project! I love the yellow and the button magnets are adorable! Thanks Michelle, I love those magnets! Thanks Susie, that yellow was pretty bold but I’m happy with it. But the buttons are my absolute favs. This is such a great idea, so gorgeous and personal! Thank you and all the best for you! Thank you Cecilia, I’m so glad you love them! Such a fun project. It just wouldn’t be right if we didn’t wait until the last minute would it! lol. That’s what I do too. I have had that experience with spray paint so I feel your pain. Your fix is perfect though because your project turned out great. Those button magnets are entirely too cute! Oh how I wish I wasn’t a procrastinator but so glad I’m not alone in that department 🙂 I’m so glad you love it, and think the magnets are cute, I really love them. What a great save!! I love the yellow you picked and those button magnets are simply too cute!!! Thanks Anika, I think your kids would love making the button magnets, you could use Aileen’s Sticky Glue instead of the hot glue to keep their little fingers safe. This is so cute. I am so enamoured with the little button detail you added. It’s perfect. Thank you so much for sharing. So glad you like it Sue, I think the button magnets really set it off. This is a cute idea. I can see these being used all over the house. I really like the idea of the button magnets. Thanks Debra, I’m so happy you like it and my little button magnets. This s really cute. I can see them hanging on each teen door as memo boards from Mom. I like how bright and cheerful these are. I once painted when it was too hot and it all pulled up and clumped. What a mess, I share your pain Toni lol. Oh those perfect painting temp lessons Leanna. When we know better but do it anyway that’s the most frustrating part LOL I love the idea of them hanging on a teen’s door, so many options. I’m glad you like the cheerfulness of it, I need it in the house during winter when our house gets so dark because of the darn hill behind us. I think this is so darn cute! I love buttons and this looks like a fun project too. I have lots of buttons and would love to try one myself. So fun and festive! This is so cute! That is awesome that your Target gives things that don’t sell to Goodwill. Painting is hard in the winter when it’s cold. I think it came out so cute. The buttons hot glued together just make it pop, what a great idea. My kids would love the buttons on our fridge. Thanks Jenny! 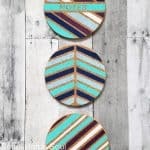 I bet your kids would play with them for hours, but you’d want to use the round magnets instead of the tape for a stronger hold than the peel and stick stuff. I didn’t know Target did that either until a blogger local to me, Janine from Happy Happy Nester, told me she got a brand new rug there for her daughter’s room. They generally sell for half the sticker so sometimes you get really great deals. This is such a sweet idea and would look really cute in the kitchen. Yes it would because yellow and blue are a great pairing. I’m so happy you find it sweet too. Toni, this is so cute and colorful! I love those little button magnets. I could probably make that because I do have a ton of buttons. 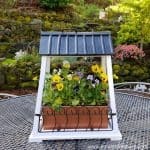 And yes, I can certainly relate to failed projects, but this certainly isn’t one of them! 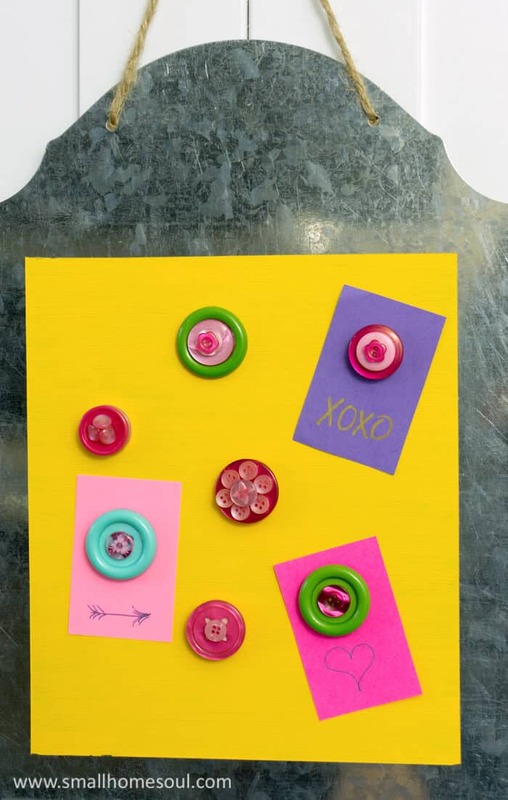 There are so many cute crafts you can do with buttons I’d never even thought of before. I’m glad I have my grandma’s buttons and my mom has a red and black square metal tin of of them as well. They’re such a treasure. Thanks Gail, I’m so glad you like it! This is so adorable, Toni! 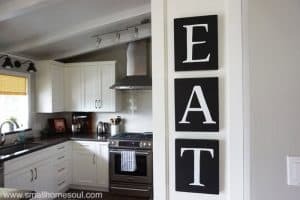 I love magnetic boards and I could use something like this on the side of my fridge! Thanks for the idea! PS: I’ve found the best sweaters for $3 from Target at Goodwill! Thank you Gail, they are fun to make so go get to making some button magnets for your fridge! I love how colorful this is! I’m all for decorating my home in bright, fun colors. This is perfect. I’m sorry your first project idea didn’t turn out. Hopefully you will be able to salvage it in the future. Cute idea! Love the bright yellow with the fun button magnets. Visiting from Thrift Store Challenge. Thanks Victoria, it was a perfectly good board so I’m glad I was able to salvage it. I guess I could have just sprayed chalkboard paint over it but I like the pop of color on it now.